Genuine Vauxhall Corsa D/E (2006 onwards) tailored carpet mats, suitable for right -hand drive vehicles. Add an extra level of protection for the interior of your car with our Genuine Vauxhall Corsa D/E (2006 onwards) tailored carpet mats. 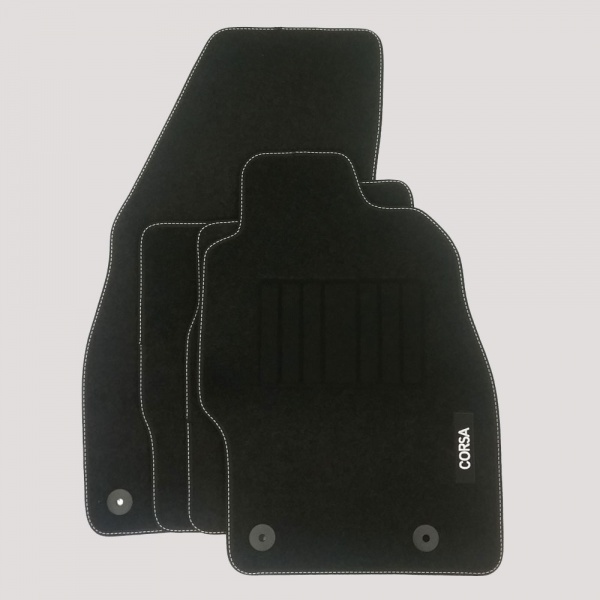 These mats are black in colour with the name 'Corsa' embroidered on the driver's mat. Also features a hard wearing heel pad on the driver's mat too.